Named after the westernmost extreme of Isle of Skye (where Talisker distillery is found), where a lighthouse signifies the danger of the rocks below, which are pictured on the box. This whisky, though non age stated, pairs some of the oldest stocks in the Talisker warehouse, alongside younger whiskies to produce a spirit of wonderful balance. This is a classic Talisker, full of coastal brine, peppery spice and smoke. On the nose this whisky has aromas of sweet spices, vanilla, toasted bread, sharp pepper, and prickly maritime peat. On the palate rich oak takes hold, with woodspice and espresso. 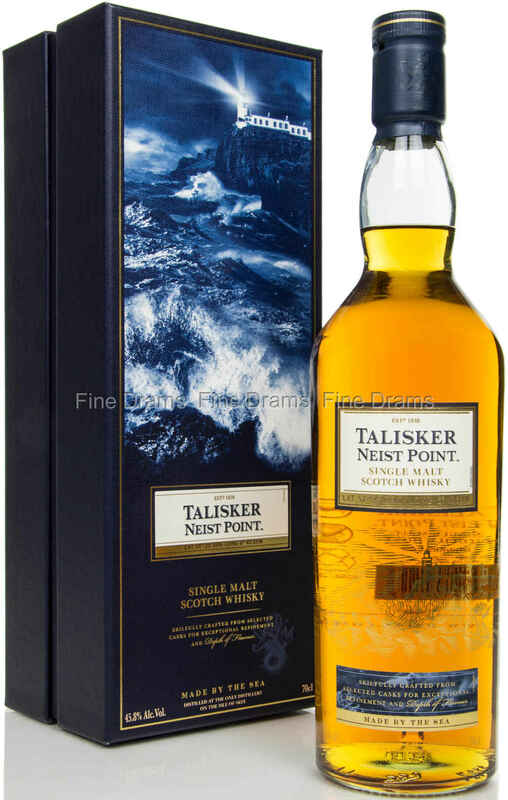 Classic Talisker notes of pepper, sea spray and smoke take build with time. The finish is sweet, with lasting notes of smoke and spice, becoming slightly drying with time. Extraordinarily long. This whisky is bottled at what many consider “the Classic Talisker” proof of 45.8% ABV.